Project Healing Waters is a joint activity initiated by Trout Unlimited and the Federation of Fly Fishers offering wounded military personnel the opportunities to learn, or enhance, fly fishing skills on fishing outings. Project staff instructors and outgoing leaders include professional educators and fishing guides, as well as experienced fishers, all of whom donate the their time and efforts. Temple Fork Outfitters has designed two distinctive fly rods displaying the Project Healing Waters logo shown above. PHW rods are built on translucent blue Professional Series blanks with gold lettering inscribed with the words "Healing Those Who Serve". 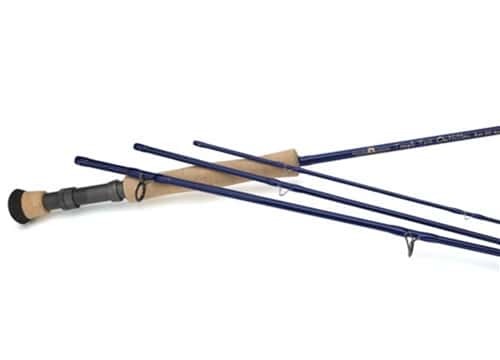 * A $25 contribution will be made to Project Healing Waters for every PHW rod that is purchased through an authorized TFO dealer.